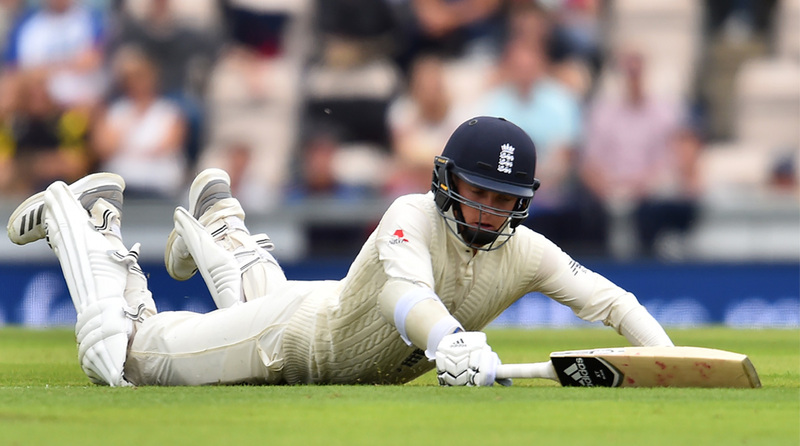 Sam Curran offered a spirited resistance with a resolute half-century but Indian bowlers, led by Jasprit Bumrah, produced a disciplined effort to dismiss England for 246 on the opening day of the fourth cricket Test, here on Thursday. Ben Stokes (23) continued to defend stoically, lasting 79 deliveries. Shami bowled brilliantly, continuing from where he left off in the morning session. And it brought him reward when he trapped Stokes lbw in the 35th over as England were reduced to 86-6. Earlier, India fielded an unchanged eleven from Nottingham, bringing an end to the 45-match streak of constant chopping and changing. It was the first time in 39 Tests as captain that Virat Kohli fielded the same team as the previous match.